A recent artist’s rendering of the Treasure Hill Development. 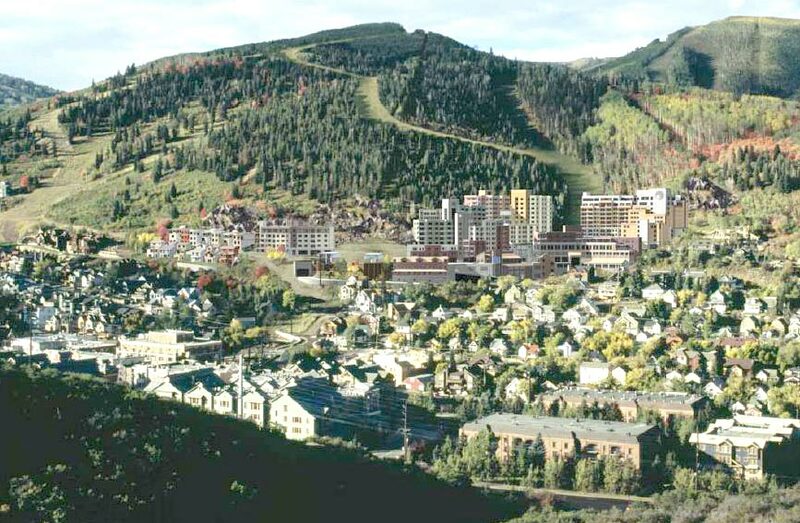 The Treasure Hill Development has been a controversial thorn in the mountain side of Park City for more than 3 decades. As development plans move forward, plagued by questions and opposition, we try to highlight some of the more important aspects of the project to better view where it stands today. In 1986, the City Council approved the Master Plan of Treasure Hill and has remained in protracted talks with the developer, Sweeney Properties, ever since. In order for the project to move forward, a second, more detailed plan must be approved by the City Council. Currently, the Council is preparing for deliberations. The Treasure Hill plan is to create a dense, compact and pedestrian-friendly extension of the Old Town Historic District. The plan intends to be reflective of the historical character of Park City as well as preserve 110 acres of open space. The preserved open space portion is roughly 97% of the plan. The idea was originally proposed by City staff back in 1986, approved by the planning commission and welcomed by the Sweeney Family. Residents are concerned about the size and scale of the development. 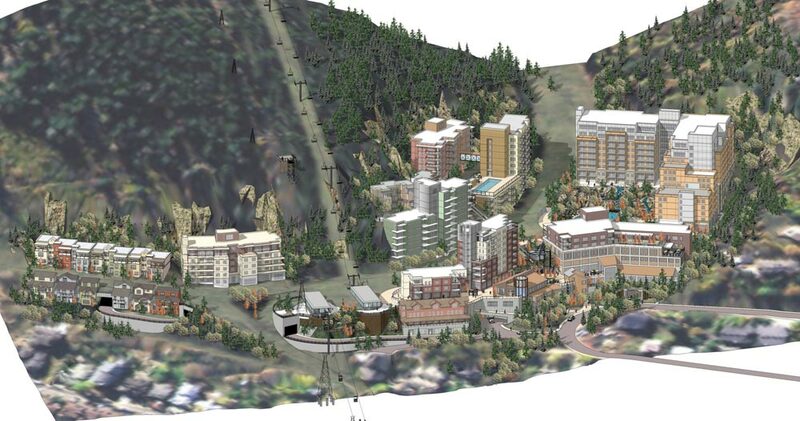 The plan calls for buildings to be integrated into the hillside and gulch rather than crawl up the hillside. There is a fear that structures will be “looming” over Old Town. Besides the size of the buildings, a second concern is the amount of land that will need to be excavated in order to accommodate such a large-scale development. The current proposal is to create 200 hotel rooms, 100 condominiums and a conference center. The development plans to accommodate approximately 2,000 guests per day. Concerns over projected traffic issues have been stalling the project for months. Park City’s Planning Commission is working closely with a traffic consultant to review the next steps in the planning process. One of the primary organized entities in opposition of the current Treasure Hill proposal is the Treasure Hill Impact Neighborhood Coalition, or THINC. Their mission statement is to “preserve and protect Park City’s Historic Old Town”. A traffic consultant hired by the City and one hired by the Sweeney’s have both concluded that streets in Old Town could handle the construction traffic and heavier use. However, issues like how construction would impact existing resort traffic and the duration of the project are still being closely analyzed by city officials. Excavation is another important sticking point for many residents. The amount of hillside that would have to be blasted and hauled away is staggering. The developer has mentioned implementing a conveyer system that would haul rock up the mountain but has not provided sufficient details. Many of the City’s Planning meetings have been moved to the Park City Public Library to accommodate the large number of concerned community members. As of now, the Commission is still reviewing traffic studies and excavation plans. They will ask for public comment before their formal deliberations begin. The Sweeney Family hopes that all of their hard work and planning will result in a vote in their favor. But the 30 year saga continues and there is still no treasure in sight. Two city council members and one planning commissioned from the time Treasure was “approved” have testified that a development of this scale was NEVER and I mean NEVER CONTEMPLATED. It was to be a residential community, NO hotels NOR a convention center. How did this possibly get 400k plus square feet to over a million is beyond me. I believe until the three lanes of traffic, which are regularly clogged now, unlike 30 years ago, are addressed Park City ought not consider adding 2000 new visitors a day. Further, with the need to staff more lodging, where does this project propose to house, perhaps even find employees? Much of the traffic in and out of Park City seems to be commuter based, which indicates employees who cannot live in Park City. Right Sweeney family, preserving land while building disgusting hotels and useless rich yuppy shopping centers. The town can’t even employ enough people already thanks to the other rich cheapskate investors who want everyone to work for $10hr. I think you need your heads checked.